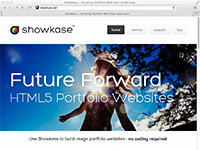 An example of a web site built with Showkase. Tim Simmons is a leading commercial and art photographer. 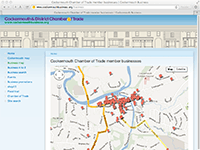 This web site was commissioned by the Cockermouth Chamber of Trade to promote the recovery of business in the town after a devastating flood. The site is built using the Drupal content management system and is designed so that news items and other content can be added and edited very easily. Chiswick Staithe Ltd is the managing company for an award-winning housing development on the River Thames. Developed in collaboration with Kay Sutaria Vakil. This Wordpress site is tailored for the needs of a sailing association and is designed to expand indefinitely as members submit more material.